Grab some friends and come out to hear the North Shore-based chamber group Dempster St. 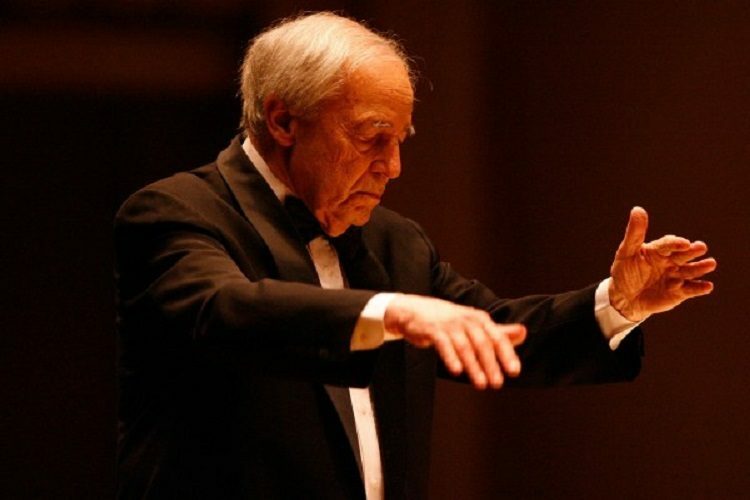 Pro Musica, most of whose players are members of the CSO, who will present a FREE concert honoring the legacy of Pierre Boulez, playing landmark 20th century scores by composers he championed – including the modernist triumvirate of Stravinsky, Schoenberg and Bartok – at 2 p.m. Sunday at SPACE in Evanston. 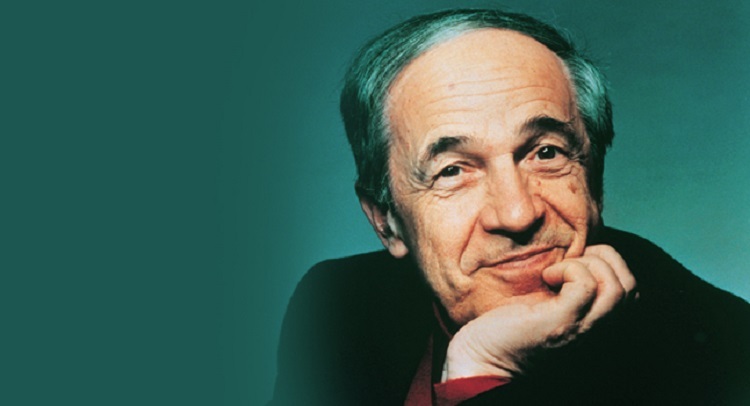 If you don’t know who he is, Pierre Boulez is the eminent French composer and conductor who in 1991 began an annual series of residencies at the Chicago Symphony. Loving this city, he became a central figure in the life of the orchestra, and in the Chicago classical music.scene. In 1995, Barenboim named him principal guest conductor. Dempster St. Pro Musica will present “Making Music Modern,” a program of 20th century chamber works dedicated to the memory of Pierre Boulez, at 2 p.m. Sunday in SPACE, 1245 Chicago Ave., Evanston. 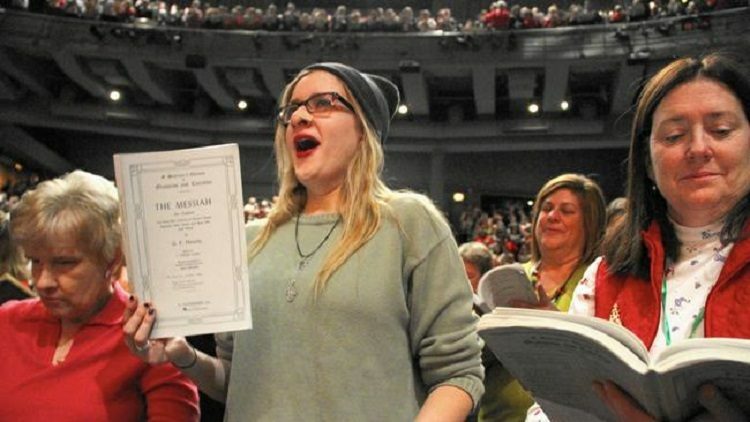 Admission is FREE, but reservations are required; 847-905-0875, www.dempstermusica.org. Pierre Louis Joseph Boulez CBE (French: [pjɛʁ bu.lɛːz]; 26 March 1925 – 5 January 2016) was a French composer, conductor, writer and founder of institutions. He was one of the dominant figures of the post-war classical music world.v Born in Montbrison in the Loire department of France, the son of an engineer, Boulez studied at the Conservatoire de Paris with Olivier Messiaen, and privately with Andrée Vaurabourg and René Leibowitz. He began his professional career in the late 1940s as music director of the Renaud-Barrault theatre company in Paris. As a young composer in the 1950s he quickly became a leading figure in avant-garde music, playing an important role in the development of integral serialism and controlled chance music. From the 1970s onwards he pioneered the electronic transformation of instrumental music in real time. His tendency to revise earlier compositions meant that his body of completed works was relatively small, but it included pieces regarded by many as landmarks of twentieth-century music, such as Le Marteau sans maître, Pli selon pli and Répons. His uncompromising commitment to modernism and the trenchant, polemical tone in which he expressed his views on music led some to criticise him as a dogmatist. In parallel with his activities as a composer Boulez became one of the most prominent conductors of his generation. In a career lasting more than sixty years he held the positions of chief conductor of the New York Philharmonic and the BBC Symphony Orchestra, music director of the Ensemble Intercontemporain and pricipal guest conductor of the Chicago Symphony Orchestra and the Cleveland Orchestra. He made frequent guest appearances with many of the world’s other great orchestras, including the Vienna Philharmonic, the Berlin Philharmonic and the London Symphony Orchestra. He was particularly known for his performances of the music of the first half of the twentieth-century—including Debussy and Ravel, Stravinsky and Bartók, and the Second Viennese School—as well as that of his contemporaries, such as Ligeti, Berio and Carter. His work in the opera house included the Jahrhundertring—the production of Wagner’s Ring cycle for the centenary of the Bayreuth Festival—and the world premiere of the three-act version of Alban Berg’s Lulu. His recorded legacy is extensive.